It's time to go back to school! 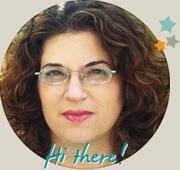 I always have mixed feelings about going back to school, I want the house back to myself, but I love spending time with them and I enjoy the time off from all the driving, baking, volunteering…. This time of year always reminds me of my son's first teacher. She was one of a kind! She was his teacher for four years and she is largely responsible for his amazing progress. We all cried when it was time to say goodbye. Luckily his new teacher is just as great and the class gets to meet their old teacher when she comes to visit. I wanted to make her something special when she left, something to help her remember all the wonderful moments they shared during those four years. I decided to make a special mini album in the spirit of learning. 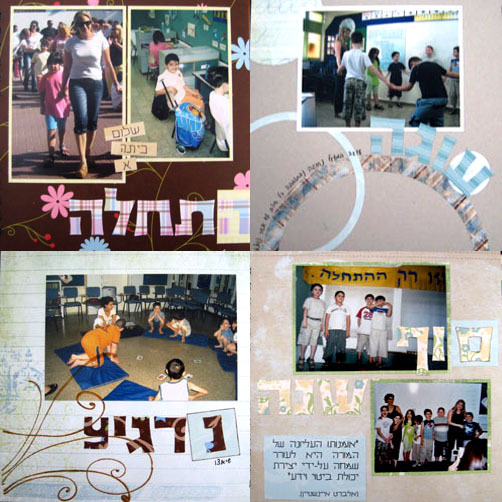 Each page is dedicated to a letter in the Hebrew alphabet, total of 22 letters. The title of the page begins with a specific letter that is also embellished or emphasized (don't forget that Hebrew is read from right to left). The theme of the page coordinates with the title. 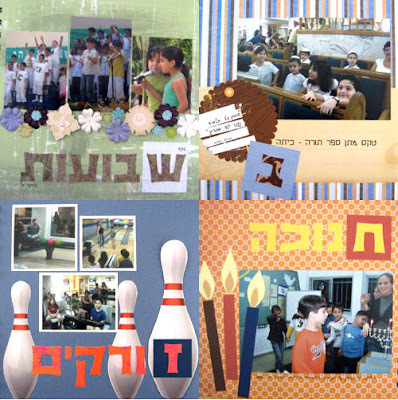 For example: the bowling page is titled "bowling" (in Hebrew). You can easily make this book in English, just remember to start taking pictures from the beginning of the year so you can capture all the year in your mini album. as a teacher... I think this is a beautiful idea!! How very sweet! I'm sure his teacher will cherish it forver. What a great idea! TFS!